BATWING faces off against the deadly Beijing gangster dragon known as LONG! BATWING’S armor is equipped with a new array of Bat-gadgets! 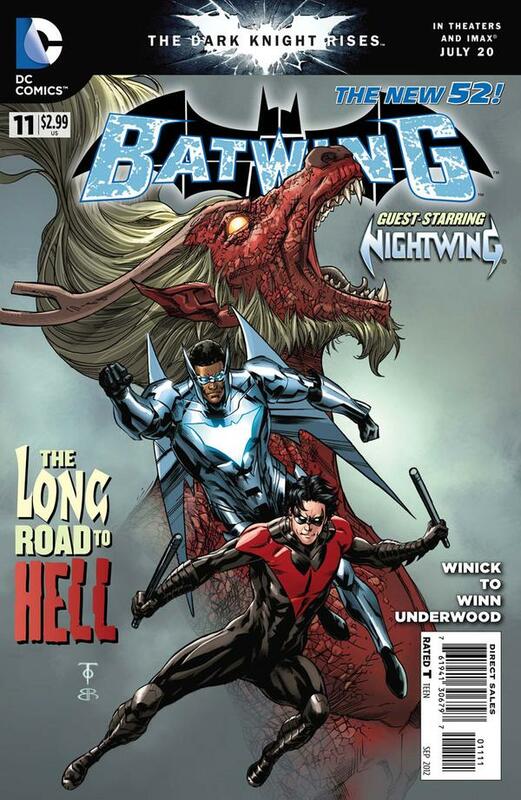 In China Batwing and Nightwing face off with Long, they flee after getting the data they need. Matu Ba then tells Batwing he’s headed to Tundi to bury his family. Batwing warns him but he goes anyway. Once there he realizes that the nation’s leader is in league with both Penguin and long. Matu is taken out and batwing heads to his location. In Gotham Batman tackles Penguin about his involvement. Art-The art was adequate though not as good as Ben Oliver who drew the first arc. Africa- I’m enjoying the expansions that Judd is making to the continent of Africa throughout this series. First came Batwing then the Kingdom: Earthstrike, Thunderfall, Dawnfire, Razorwire, Steelback, Staff, Diety, Josiah Kone; now we have another nation and more superhumans; Lord Battle and four others; thank you Judd! For years I wandered why a continent larger than America had so few super beings and thanks to you they are coming out of the woodwork! That my friend is needed and welcomed, cheers! Cover- The Dragon in the background while Batwing and Nightwing (The Wing boys) strike a pose in the foreground, pretty cool looking cover. Matu Ba- It’s really good that he becoming more than just the “butler” he could give Alfred a run for his money in sheer complexity in a completely unassuming package. Art- The drop in the production values on this book will turn off original and new readers alike. 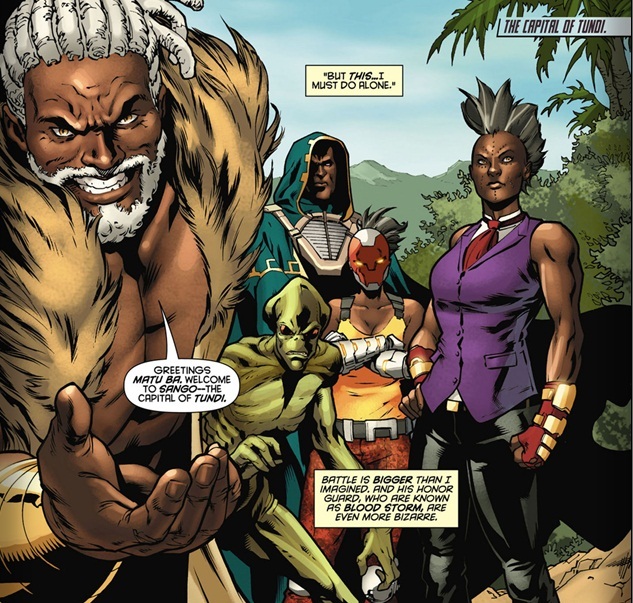 Of all the DC titles, this one seems to have the most black heroes/villains.in the DC universe.